One of the best sellers on eBay. Fantastic communications. Very helpful. One of the best sellers on eBay. Thanks! VIKTORY - under cover is a custom amp cover manufacturer for amateur & professional musicians. 65amps™ are made for the discerning player who is searching for the best of old and new tones in a modem, reliable, and road-worthy amp. Inspired by the best amp voices in 60's Rock-n-Roll, 65amps™ bring together a robust combination of the best tube amps of the 60's. Do not be fooled though, these little monsters can keep up with the likes of any modern amp. The classic voicing, surprising touch-sensitivity, dripping sweet even-order harmonics, and outstanding dynamic range of 65amps—is something every serious tone-seeker will instantly appreciate! 65amps™ retain all the chime, jangle and articulate, musical detail of your favorite 60's amps, yet they can scream and wail with enough soulful expression to bring out the best in you and your guitar. At home on stage or in the studio, 65amps" are the perfect addition to any stage rig, studio roster, or your amp room at home. 65's are custom voiced, hand-wired amps made by seasoned musicians with painstaking attention to tone and detail and absolutely NO compromises. High-quality Amplifier dust cover for 65 AMPS APOLLO AMP. High-quality Amplifier dust cover for 65 AMPS LIL ELVIS 1 X 12 COMBO. 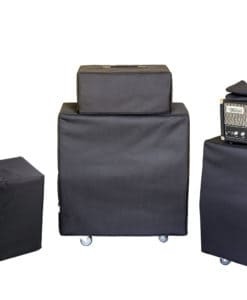 High-quality Amplifier dust cover for 65 AMPS LONDON 2 X 12 COMBO. High-quality Amplifier dust cover for 65 AMPS LONDON PRO REDLINE 1 X 12 CABINET. High-quality Amplifier dust cover for 65 AMPS LONDON PRO AMP. High-quality Amplifier dust cover for 65 AMPS MPS VENTURA AMP. High-quality Amplifier dust cover for 65 AMPS STONE PONY AMP. 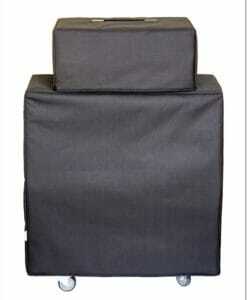 High-quality Amplifier dust cover for 65 AMPS TUPELO 1 X 12 COMBO.